Mississippi Map turtles are named from the lines and markings on their carapace which resemble the contour lines of a map. 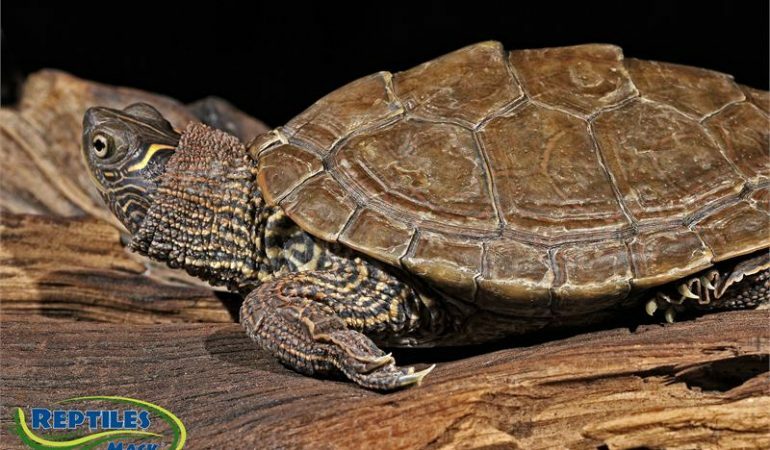 These turtles are found in the Mississippi Valley from Illinois and Nebraska, down into the Gulf States from Mississippi to Texas, usually in rivers, lakes and large streams. Enclosure: A minimum 75 gallon tank is needed for a single adult male, but a 10 inch female will need at least a 125 gallon enclosure to insure adequate space. 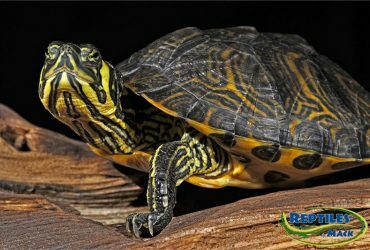 Habitat: Mississippi Map Turtles are very communal and are found in Freshwater lakes, rivers, and ponds of the Gulf States with dense vegetation. Make sure to provide plenty of space for your turtle, including a basking area where they can get completely out of the water and a swimming area with water deep enough to swim. Map turtles are excellent swimmers and will do better in deeper waters. Even as juveniles they prefer (relatively) deeper water with plenty of cover for security. They tend to prefer habitat with abundant vegetation. Water should be kept clean and filtered. Temperature and Lighting: Provide UVB lighting, a basking area of 85 degrees and water temperature of 75 degrees are recommended for these turtles. 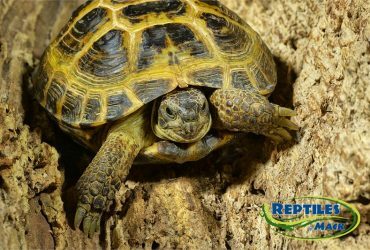 The basking platform must allow the turtle enough room to stretch out and fully dry their shell and plastron to avoid shell rot. Food and Water: Mississippi Map turtles are omnivores. Their diet should consist of a mix of pelleted turtle food, crickets, mealworms, and leafy greens such as romaine, collard, and turnip greens.